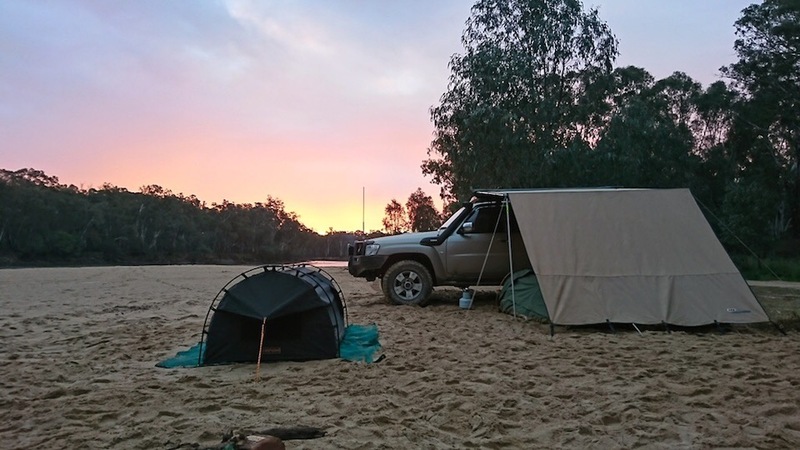 Camping and offroad ‘touring’ is one of the simple pleasures in life and here in Australia, it’s quite easy to experience the great outdoors and natural attractions on a minimal budget. 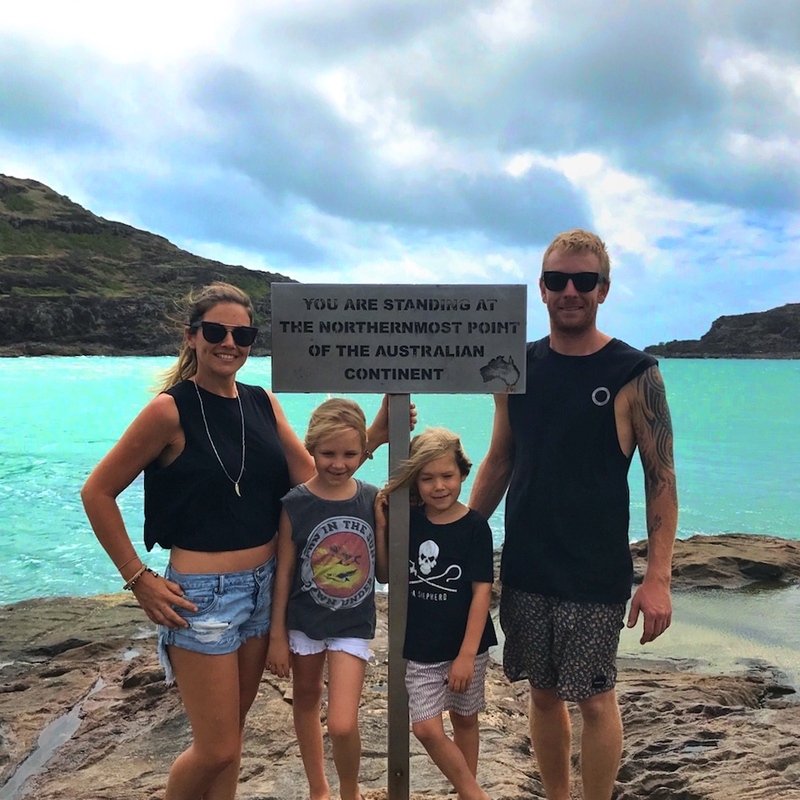 Many Aussies were lucky to grow up camping with their families, just like Rich Hennesy, our feature Adventurer. 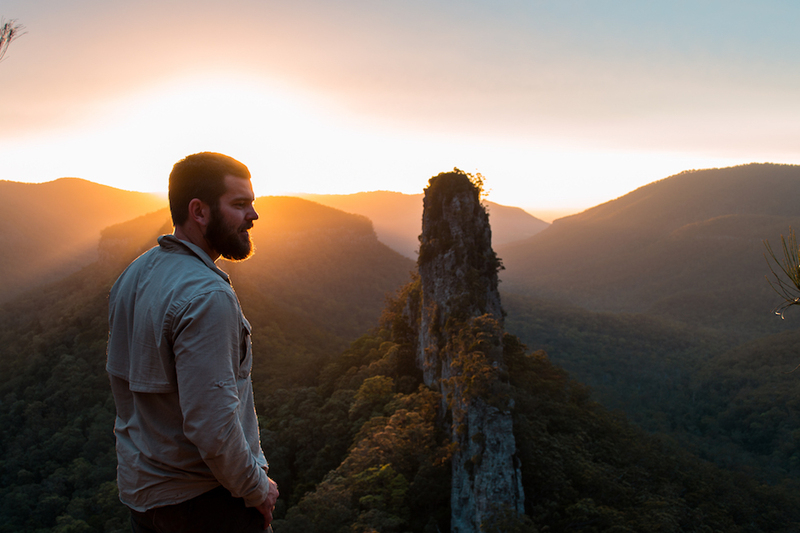 Before he and his twin brother could walk, they were bouncing around the back of their parents FJ40 cruising through the Victorian High Country, and those early memories of touring Australia led him to explore more in his older years. 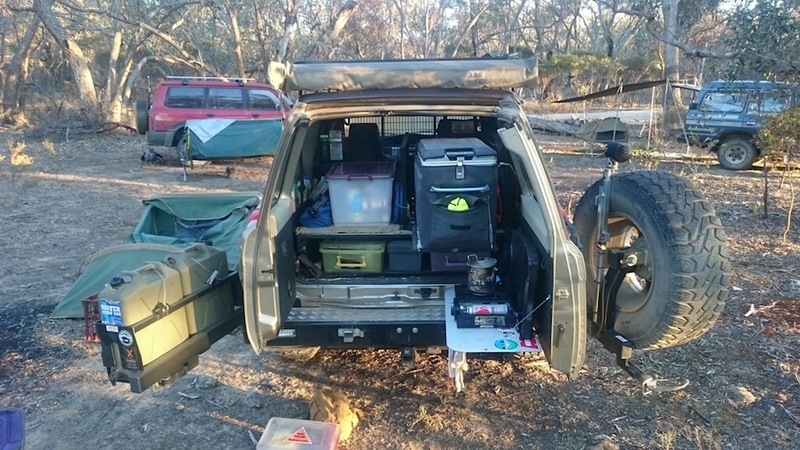 Now with his kitted out Nissan Patrol he is off exploring as much as life allows and even when he is on the tracks, he is planning the next trip ahead! Enjoy Richards story! What’s on the next trip list? I’m always planning my next trip when I’m not away camping. The maps are never far away. 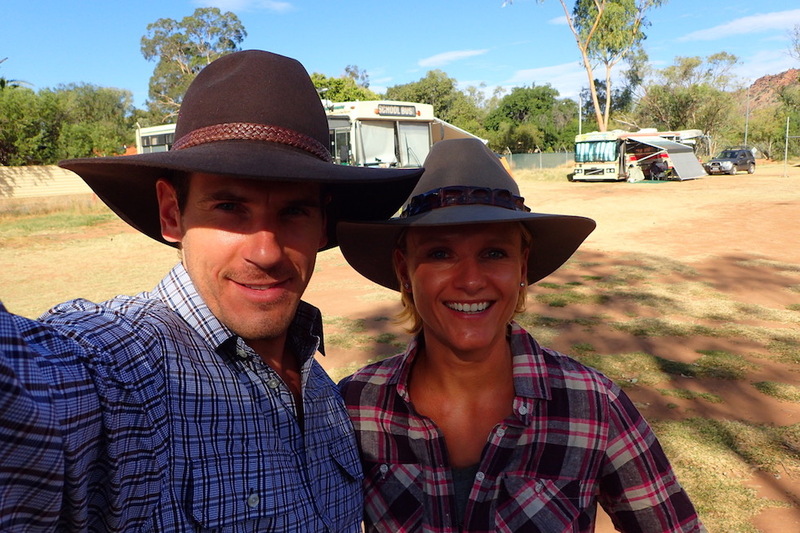 We mix up our touring between the Victorian High Country and the Outback. This next weekend I’ll be back up in the Victorian High Country. 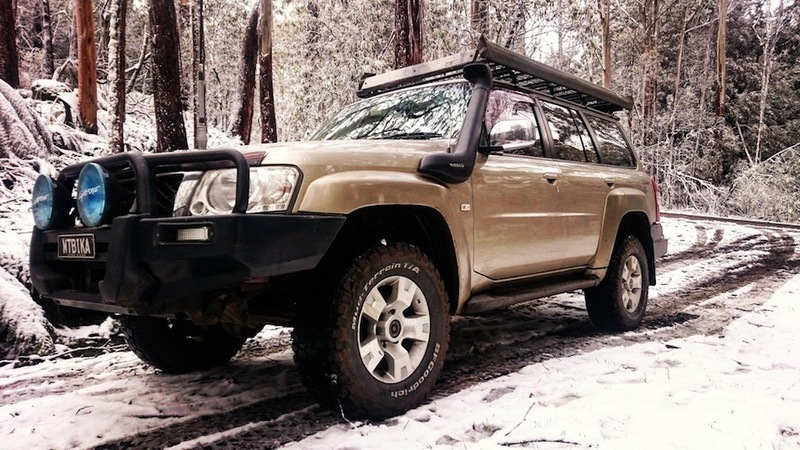 Your current off-road vehicle including your set-up? 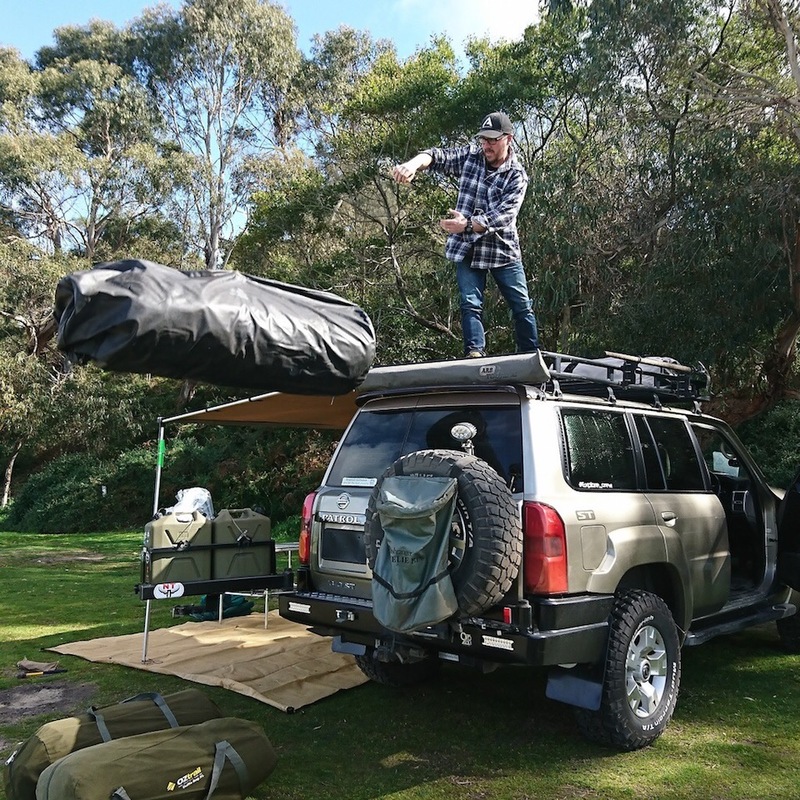 Swag, Roof Top Tent or Camper Trailer? When camping we have most bases covered, from Swags, Tents and a Camper Trailer. The swags are our preferred option. We camp all year round, in all weather and the Crashpad Swags get the nod all the time. The Camper Trailer could be looking for a new home one day soon. My twin brother and I were bouncing around the back of an FJ40 touring through the Victorian High Country from before we could walk. This never changed and in between owning a few V8 Holden’s, there was an FJ 45 I could pinch from my parent’s garage to head offroad. The first 4wd I bought was 2001 Hilux, it was stock but didn’t stay that way for long and was set up for touring. What’s your favourite 4WD track in your local area and why? One of my favourite local tracks is King Billy track in the Victorian High Country. Passing the twisted snow gums the dropping into a valley and passing a huge rock scree. It really has it all. Some of your favourite 4WD tracks in Australia? A tough choice! Montezuma Falls Track in Tasmania, Birdsville Track or the Gibb River road. Each track has its different attractions. There is a couple. Passing through a campsite and seeing a potable spa set up on the banks of the Howqua River… Clothing optional. Another was camping behind a Roadhouse near the NT/WA border when a fighter jet flew over and then a couple of lights dropped from the sky. We put it down to Air Force training with parachuters? What destinations and tracks are on your bucket list? I really want to do the Savannah Way and Googs Track. Overseas it would have to be Gulf Country. Twisted snow gums, a campfire and no music. I used to get around the Victorian High Country in a VW Baja with my swag, a camp chair and an old stove. The places that VW took me was surprising. The looks we got from others when they would ask “which way did we go?” was priceless. We have been very lucky or well prepared; I’m not sure. The only fail was when a well know brand shocker failed near Hungerford, dripping oil onto the red dust. A quick detour to Charleville for a pair of replacements and we were off again. A roast cooked in the Cobb camp oven.